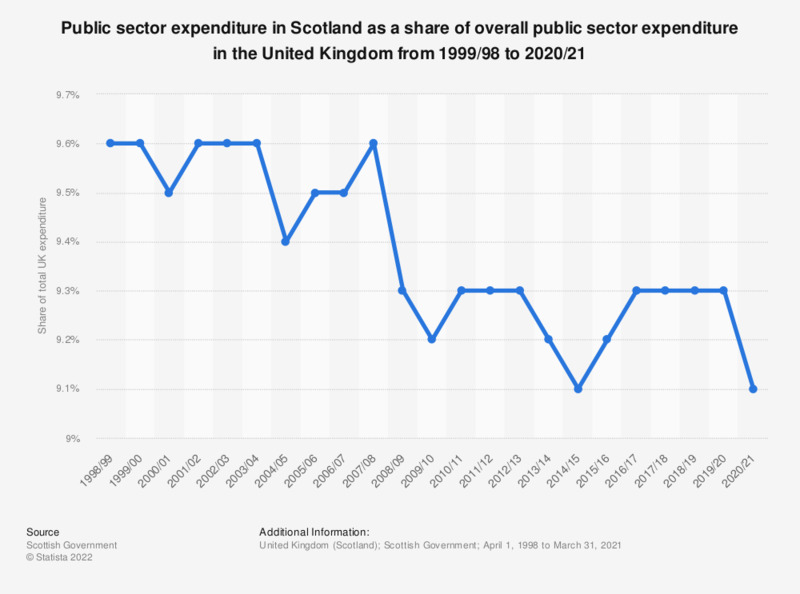 This statistic shows Scotland's total public sector expenditure as a share of the UK's total expenditure from 2007/08 to 2017/18. Scotland's share expenditure was relatively stable over this periods, at around 9.2 to 9.3 percent. * Public sector total managed expenditure.